BIC Discussion topics for Spring '18 finalized! Hope to see you at the discussion sessions!! 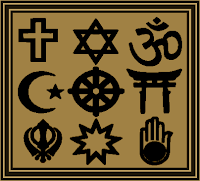 The mission of the Brookings Interfaith Council is to foster genuine understanding, respect and appreciation of diversity among people of faith (including non-theists) in our community. The Council cultivates peace and justice by engaging in dialogue to bridge religious and cultural differences and to bring the wisdom and values of our traditions to bear on the challenges facing our society.